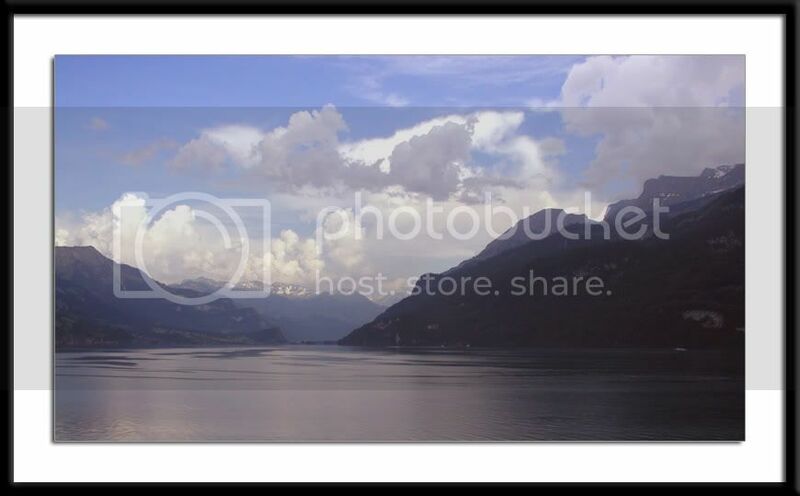 Between Brienzersee and Thunersee is the town of Interlaken. A perfect launching pad for excursions into the jungfrau region and nearby towns. The lake is crystal clear, and in many places you can see bottom! On this day, we took a long boat ride on the lake, followed by a train-ride to Luzern. As the train sped along the water, the lake seemed to stand still, with the surrounding mountains paying their respects by slowly circumambulating (or pradakshan). It was a time to sit back in silence, stare out and be engrossed with the beauty, on the other side of the glass. June 2003; Olympus 4040Z Digital.